Interesting. Could you describe how you tested? I've been meaning to test this as well. sorry its taken a while put it on the back burner had other things to do but need to sort. we have a windows 2012r2 gateway and on that ive disabled tls 1.0 and windows 8.1 and 10 connect no problem using tls 1.2 (monitoring the 2012r2 server using wireshark) when you try to connect from a windows 7 sp1 fully patched to october it wont connect, enable tls 1.0 on the gateway and it connects using tls 1.0. ive tried rds version 8 and 8.1 on windows 7 sp1 and installed that MS KB 3080079 patch. i will be doing further testing with a new build windows 7 sp1 later today. Interesting findings. If everything you say is indeed true, I would agree that the patch is certainly not ideal, although better than before. I'm stuck in the same boat as Nick Hay... Still trying to figure out what I can do to disable TLS 1.0... I'm wondering if I present this issue to our PCI compliance company if they will accept it as a Verified False Positive. The reason you can't connect to the servers once TLS 1.2 is enforced is that the normal RDP client for windows 7 doesn't support it. You have to update to RDP 8.0 on your client. Hi, were you able to test using Windows 7 (or 10)? This specific KB is only available for Windows 7, so that's what I tested with. I assume this functionality is already present in Windows 10, although I did not explicitly test it. KB3080079 would not install on my 2012 R2, it said the update is not applicable to your computer... I really enjoy your blog, thank you!!!! 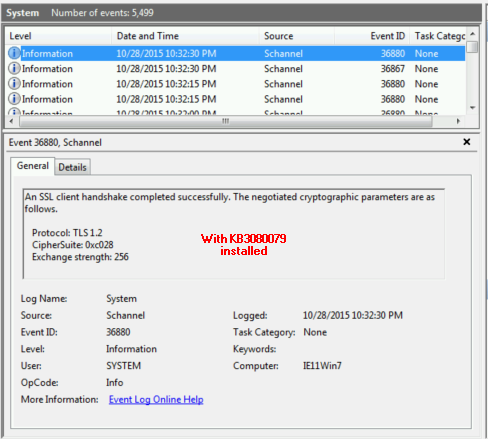 KB3080079 is only for Windows 7 and Server 2008 R2, 2012 R2 already has support for TLS 1.1/1.2. Thanks for the kind words! Sorry, trying to figure out they these post die out without a solution. and google is my friend.. but not for this issue. 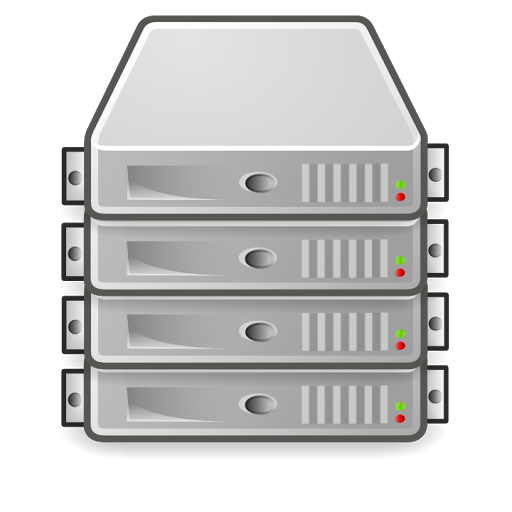 I have updated the server side and am able to connect with no issues using RDP 8 from a Windows 8 & 10 environment. However, Windows 7 with RDP 8.1 support will not connect. I have tried KB3080079 and it still wont make a connection. yep still not fix but for me and the company i work for we just moved to windows 10, no problems now. 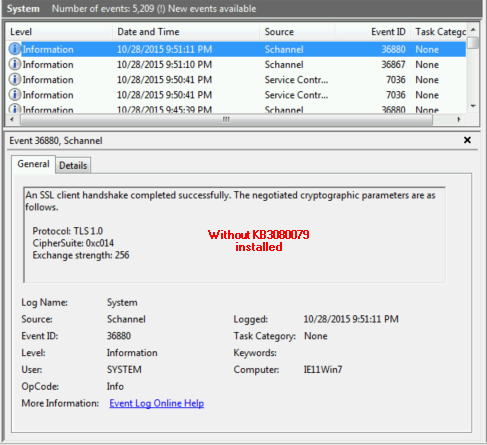 KB3140245 fixes the problem on 2008R2, Windows 7 and Server 2012 R2. https://support.microsoft.com/en-us/kb/3140245 . Note there is a separate version for x32 and x64 as well as a registry entry is required. The problem is not exactly with RDP but rather once the TLS 1.1 or 1.2 connection is made to the gateway, this becomes an WinHTTP SSL connection. When Windows 7 tries to make an RDP connection through the gateway it uses TLS 1.0 to connect. Same problem occurs with published RDWEB apps when TLS 1.0 is disabled and a Windows 7 client tries to connect. Windows 8.1, 10 and Server 2012 R2 do not have this problem. Great find! I'll have to add this to the article. Win7 RDP is latest (v8), I have tried KB3140245 but really unsure what a ‘DWORD Bitmap’ is ?!? i first thought 32-bit DWORD but it doesn’t seem to want to take the value given, either 0x00000A00 or 0x00000200 – so that I think is my first hurdle? Thanks Tom for your reply, so run KB3140245 on Server 2012 and Win7 but only RegKeys on Win7, correct? I've right clicked, new DWORD 32-bit. I just tried dec 2560 and that has worked as hex is displayed as 0x00000a00 -- now that is a little querky! The reg setting is needed on Server 2012 as well. When entering the DWORD value as hex, don't actually type the 0x at the front - only type 00000A00. Hi there. Server 2012 wouldn't accept the KB3140245 patch, saying "not applicable to this image". I edited the registry to add the WinHTTP DefaultSecureProtocol = TLS 1.1 / 1.2 settings to all 3 servers (RD Gateway, Connection Broker, Session Host). I also applied the KB3140245 patch to Windows 7 workstations and deployed GPO update to add the WinHTTP DefaultSecureProtocol settings. Wireshark packet capture proved that I was able to establish a persistent TLS v1.2 session from the gateway all the way to the session host, and launch RDWeb applications without any issues. However, if I explicitly disable TLS 1.0 and 1.1 on all 3 servers, launching RDWeb applications fails with the error message Error WebException retrieving RDP file from server: The underlying connection was closed: An unexpected error occured on a send. Unable to connect to remote desktop session host." Very frustrating as there is no point connecting via TLS 1.2 if I have to leave TLS 1.0 enabled. After almost a year, I finally figured out a working solution for disabling TLS 1.0/1.1 without breaking RDP and Remote Desktop Services connectivity. Run IISCrypto and disable TLS 1.0, TLS 1.1 and all bad ciphers. On the Remote Desktop Services server running the gateway role, open the Local Security Policy and navigate to Security Options - System cryptography: Use FIPS compliant algorithms for encryption, hashing, and signing. Change the security setting to Enabled. Reboot for the changes to take effect. Note that in some cases (especially if using self signed certificates on Server 2012 R2), the Security Policy option Network Security: LAN Manager authentication level may need to be set to Send NTLMv2 responses only. Haas anyone else managed to resolve this issue in another way?